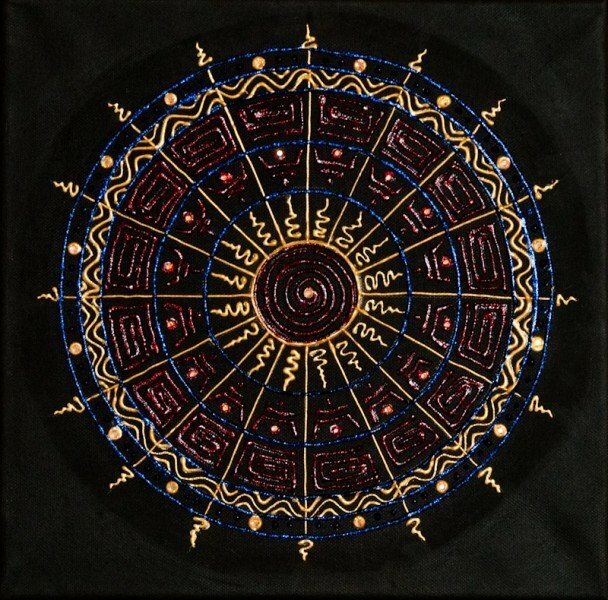 Maya | Artwork – Store – Tammi B. Ph.D.
A black, glittery mandala inspired by comtemplating Mayan art and the Mayan calander. There has been so much speculation about 2012 and the end of the Mayan calander. As I meditated about this subject what came forward was a new way of looking at things, opening up to possibilities, claiming creative potential and setting intentions based on hope, faith and love rather than fear.